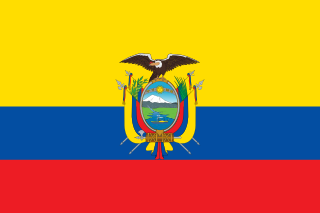 Bartonella bacilliformis is found only in Peru, Ecuador, and Colombia. 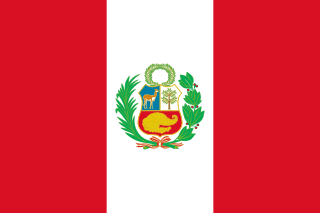 It is endemic in some areas of Peru, with outbreaks of the disease occurring in new epidemic areas. The bacterium is transmitted by sandflies of the genus Lutzomyia . For its isolation, special cultures are required, containing complemental soy agar, proteases, peptones, some essential amino acids, and blood. The optimum growing temperature is 19–29 °C. Colonies grow in Columbia blood agar supplemented with 10% defibrinated bovine blood incubated at 19–25 °C for 2 weeks. Agar or agar-agar is a jelly-like substance, obtained from red algae. As the sandflies bite, the bacteria are inoculated into the capillaries, where in a variable period of time (around 21 days) it invades the red blood cells producing severe intravascular hemolytic anemia (acute phase of Carrion's disease). This phase is a potentially life-threatening infection, and it is associated with high fever, anemia, and transient immunosuppression. The acute phase typically lasts two to four weeks. Peripheral blood smears show anisomacrocytosis with many coccobacilli adhered to red blood cells. Thrombocytopenia is also seen and can be severe. Neurological involvement is sometimes seen (neurobartonellosis) and the prognosis in this case is poor. The most feared complications are super-infections, mainly by enterobacteria such as Salmonella , or parasites such as Toxoplasma gondii and Pneumocystis . A blood film—or peripheral blood smear—is a thin layer of blood smeared on a glass microscope slide and then stained in such a way as to allow the various blood cells to be examined microscopically. Blood films are examined in the investigation of hematological (blood) disorders and are routinely employed to look for blood parasites, such as those of malaria and filariasis. 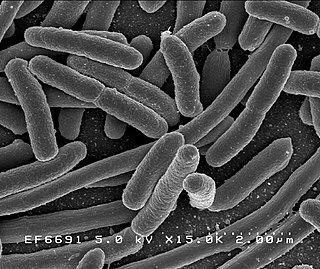 When the bacterium invades endothelial cells, it produces the chronic manifestation of the disease known as verruga peruana. This phase consists of a benign skin eruption with raised, reddish-purple nodules (angiomatous tumours). Visualization of the bacteria is possible using silver stain (the Warthin–Starry method) on biopsies. Before the antibiotic era, the only treatment for the acute phase was blood transfusion, but the effectiveness of this treatment was poor and the mortality rate was high. Later, with the discovering of new antibiotics, penicillin, chloramphenicol, tetracycline, and erythromycin have been used successfully. However, because of the risk of overwhelming infections by enterobacteria, quinolones are preferred. Therapeutic failures and persistent bacteremia have been reported with chloramphenicol, and successful treatment with this drug does not appear to eliminate the patient's risk for development of the eruptive phase. So, the drug of choice is ciprofloxacin. 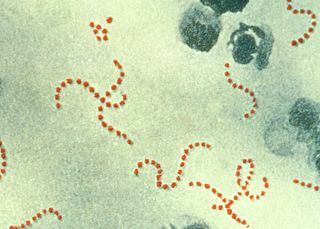 In the chronic phase, the treatment used traditionally has been streptomycin for 10 days. Since 1975, rifampin has become the drug of choice for verruga peruana. 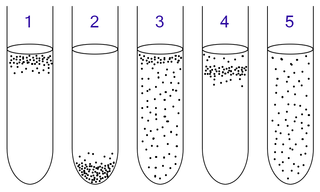 However, failures of rifampin treatment have also been reported and resistance can develop. Recently macrolides have been used with similar effectiveness. Lutzomyia is a genus of phlebotomine sand flies consisting of nearly 400 species, at least 33 of which have medical importance as vectors of human disease. Species of the genus Lutzomyia are found only in the New World, distributed in southern areas of the Nearctic and throughout the Neotropic zone. 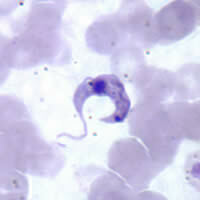 Lutzomyia is one of the two genera of the subfamily Phlebotominae to transmit the Leishmania parasite, with the other being Phlebotomus, found only in the Old World. Lutzomyia sand flies also serve as vectors for the bacterial Carrion’s disease and a number of arboviruses. Interstitial nephritis, also known as tubulointerstitial nephritis, is inflammation of the area of the kidney known as the interstitium, which consists of a collection of cells, extracellular matrix, and fluid surrounding the renal tubules. In addition to providing a scaffolding support for the tubular architecture, the interstitium has been shown to participate in the fluid and electrolyte exchange as well as endocrine functions of the kidney. There are a variety of known factors that can provoke the inflammatory process within the renal interstitium, including pharmacologic, environmental, infectious and systemic disease contributors. The spectrum of disease presentation can range from an acute process to a chronic condition with progressive tubular cell damage and renal dysfunction. 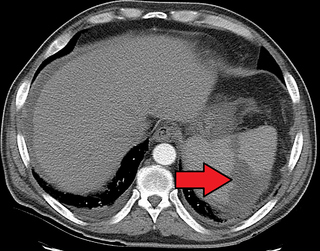 Splenic infarction is a condition in which blood flow supply to the spleen is compromised, leading to partial or complete infarction in the organ. 1 2 Maguiña C, Garcia PJ, Gotuzzo E, Cordero L, Spach DH (September 2001). "Bartonellosis (Carrión's disease) in the modern era". Clin. Infect. Dis. 33 (6): 772–9. doi:10.1086/322614. PMID 11512081. ↑ Maco V, Maguiña C, Tirado A, Maco V, Vidal JE (2004). "Carrion's disease (Bartonellosis bacilliformis) confirmed by histopathology in the High Forest of Peru". Rev. Inst. Med. Trop. São Paulo. 46 (3): 171–4. doi:10.1590/S0036-46652004000300010. PMID 15286824. ↑ Chamberlin J, Laughlin LW, Romero S, et al. (October 2002). "Epidemiology of endemic Bartonella bacilliformis: a prospective cohort study in a Peruvian mountain valley community". J. Infect. Dis. 186 (7): 983–90. doi:10.1086/344054. PMID 12232839. ↑ Schultz MG (July 1968). "A history of bartonellosis (Carrión's disease)". Am. J. Trop. Med. Hyg. 17 (4): 503–15. doi:10.4269/ajtmh.1968.17.503. PMID 4876803. "Bartonella bacilliformis". NCBI Taxonomy Browser. 774.